← Monday Question – Have You Been On A Perfume Quest? 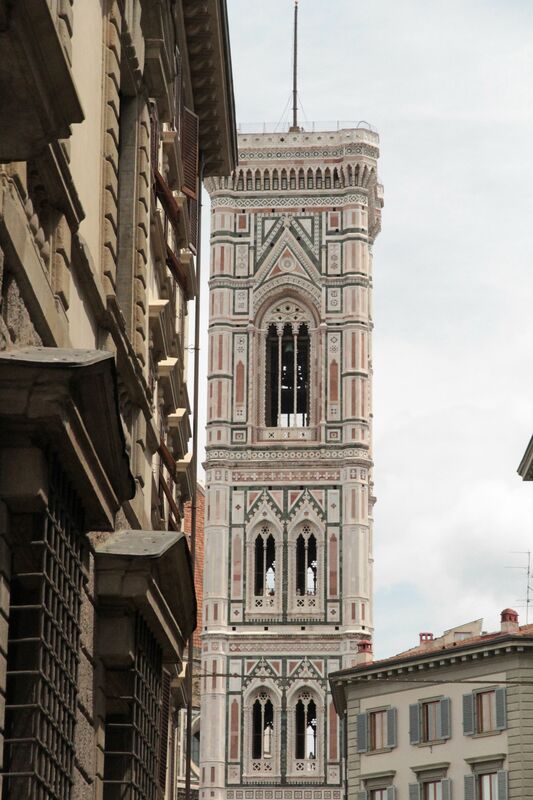 During our recent vacation in Tuscany we managed to spend a whole day in Florence. We parked the car up on the Piazzale Michelangelo and were greeted with the most stunning view of the city right beneath us. The breathtaking panoramic view took the words right out of our mouths and we just lingered on the square for the longest time digesting the view. Even the kids were mesmerized for a while. I could write a bit about the city’s historical value and its beauty, but I have decided to let the pictures speak for themselves. In no way was I looking for any perfumeries in Florence. With that many family members in tow, it was just not conducive to go searching and sniffing. After we all finished lunch in the square of the Palazzo Vecchio we miraculously split up to discover certain parts of the city that were of interest to us. Before going off on her own merry way, my mother dragged me right out of the restaurant into a store next door telling me along the way that this store would be right up my alley. I was thinking shoes, scarves, gosh anything but what it turned out to be. My mother took me directly to the store of i Profumi di Firenze at the Palazzo Vecchio. The store front window is not very telling of what is about to come and if I had no idea about perfume I would have most certainly missed it. Mom was right – it is a store much to my liking! Now, going back to my little knowledge of the perfume company I quickly remembered reading Neil’s hilarious take on testing his neighbours purchases from i Profumi di Firenze. I quickly sought out his famed Vaniglia del Madagascar and put some on my wrist. But I tried the concentrated oil and it initially reminded me of another vanilla perfume that I have Il Profumo – Vanille Bourbon Osmo Absolu and so I dismissed it. I tried several of their offerings and came away with three beautiful perfumes (their prices are so reasonable that I could easily justify picking up three!). The problem came up the next morning. I should have paid closer attention to Neil’s review and picked up a bottle! Now, I have to go back and get one. Wow! What a delicious vanilla perfume that turned out to be. I will probably buy the cologne and not the oil just so that I can get to that yumminess sooner. I am kicking myself still and wishing that I would have just paid the €15 for the oil when it was in my hand. Darn it. This entry was posted in Photography, Travels and tagged Firenze, Florence, Fragrance, I Profumi di Firenze, Italy, Perfume, Photography, shopping, Travel. Bookmark the permalink. All Italian cities have their own perfume..Rome smells of wet stone, burning candels and pasta. Venice of Negronis and the sea and Florence of leather, jasmine trees and incense…Well to me at least. Have so much fun that you never want to leave Bella Italia! How right you are! Florence definitely smelled of jasmine. I kept running up to the walls of jasmine jumping with glee. Rome also smelled of pine to me – ever since childhood. Thank you for your insight Laniersmith. Vaniligia del Madagascar was one of my very first ventures into ‘niche’, probably sniffed at Barney’s. Dozens of vanillas later, many extraordinary and delicious, I will never be without this!! Judith – you are so lucky to have the capability to buy the perfume. Now I kicking myself even more! 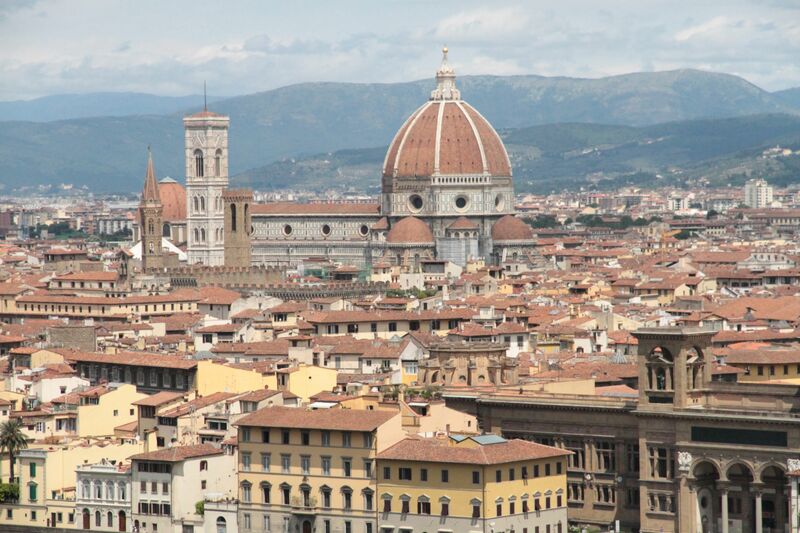 Last year I spent 3 days in Firenze, when driving back from holiday in France – what an amazing place ! It was early autumn and the market hall was filled with all the lovely fruit and veggies, heaps of mushrooms, varoius oils and vinegars – a bliss ! Sadly, I most probably walked by several times by the Profumi di Firenze shop, without taking a closer look. A reason (among others…) to go back ! Thank you for the lovely report, Sandra. Lady Jane Grey you just brought back all the memories of the fresh fruits and vegetables. Summer was fabulous with the cherries, peaches, apricots and oh the tomatoes. Hopefully you will be able to go back soon and explore i Profumi di Firenze soon. I love a good vanilla note so am curious to try this one now. How great that your family holiday took in some fumie sights as well! 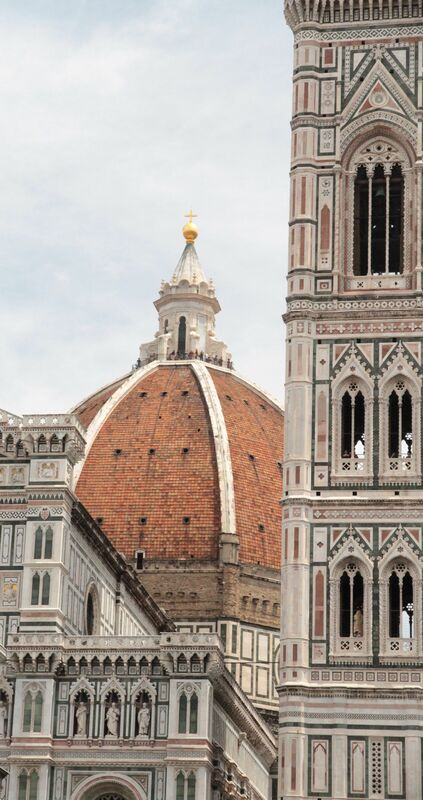 I have been to Florence a few times down the years, and would jump at the chance to go back. I had my picture taken at age 17 and again at 29 in the exact same spot on the Ponte Vecchio. It amuses me to compare the two though I don’t think my dress sense had improved in the meantime – it was the 80s, though. 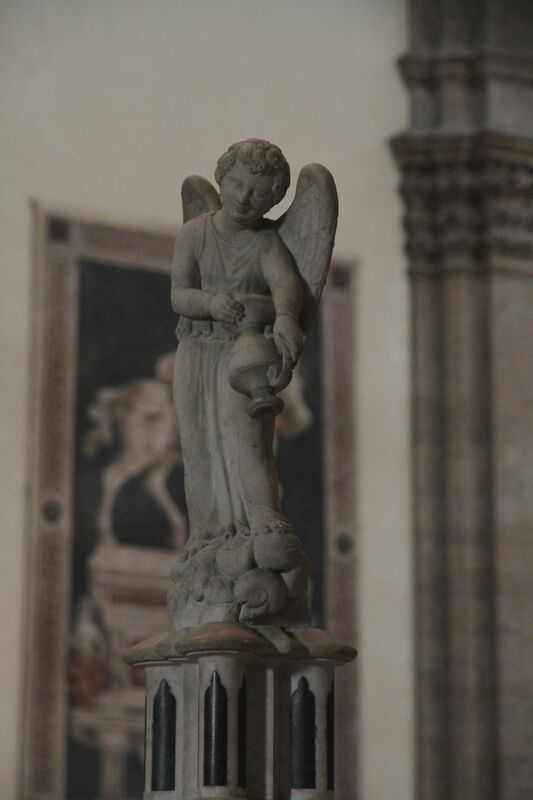 🙂 My abiding scent memory of Florence – even though all my visits were pre-perfumista – is the smell of leather goods in the street markets, specifically those fake Louis Vuitton bags. Very good fakes to my untrained eye! The smell of leather is beautiful and you are right it is all over Florence. Temptations everywhere… It is lovely that you have the two photographs. Wonderful post, Sandra. 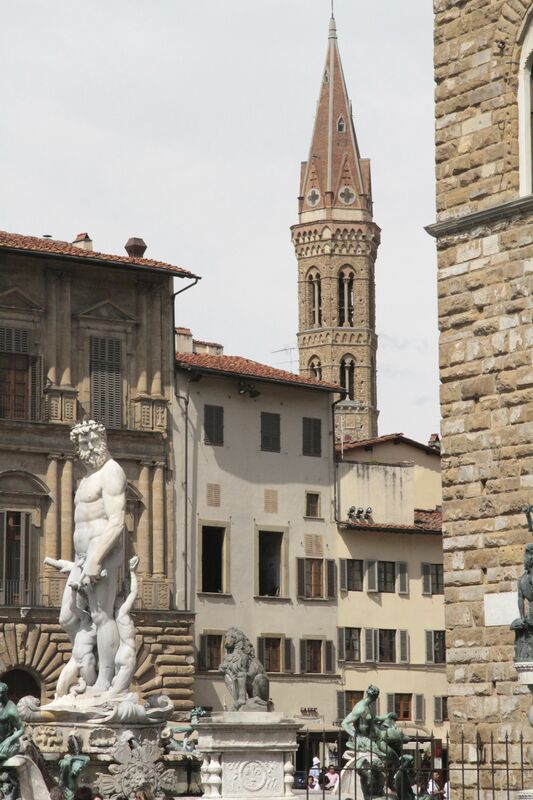 I stayed in Florence quite a while ago and I loved it. 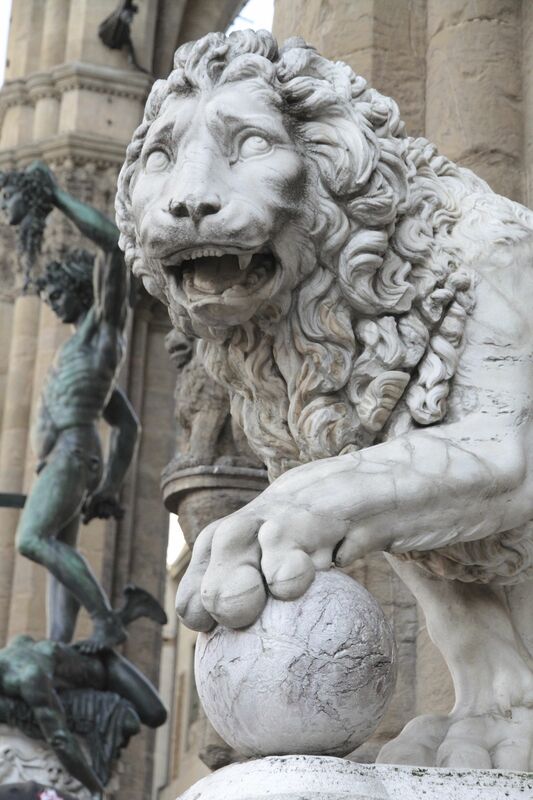 I always associate it with the Duomo, so it was lovely to see your pics. Like Vanessa, I also think of the leather street markets. What a great Mom you have! Enjoy your buys. Yes, definitely lusting! 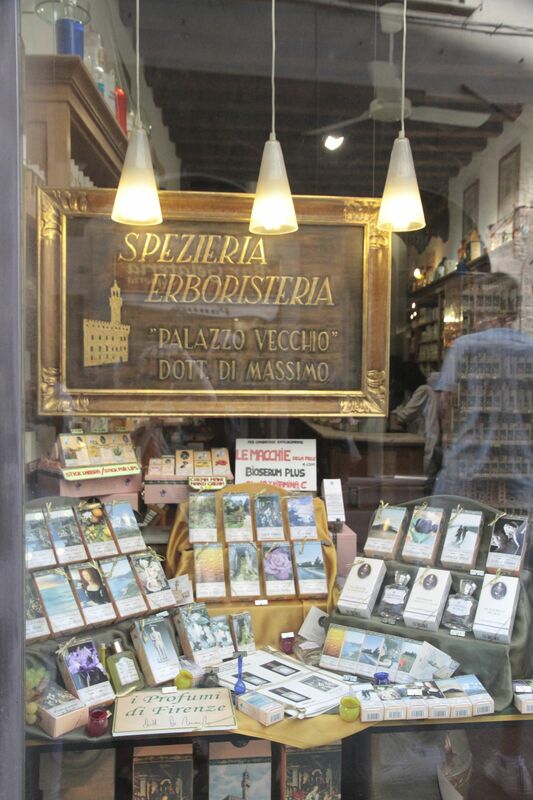 Must find this shop…only 2 more sleeps till we leave for Florence! I have bookmarked all the perfume shopping guides, what a perfume tragic I am! Thanks for the beautiful photos too. Jackie – go get that bottle! You won’t regret it. Enjoy your trip. Oh I am so sorry to hear about your health woes Ringthing. I hope there is an end in sight soon. Yes, perfume has transported me to many beaches, temples and countrysides. Sandra, oh wowww. There are no words for that kind of stunning. Birgit once stated that you are a gifted painter, and your artist’s eye comes through in your photos, too. 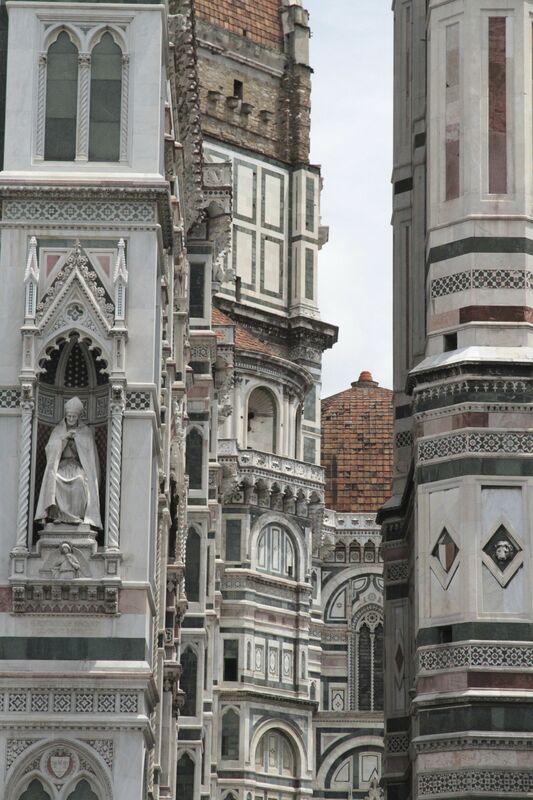 Were you tempted to set up your easel during your Italy vacation? Thanks Suzanne – you are far too kind. I am tempted to paint now after the trip. We are up in Norway this week and loving the light. Wish I had my easel now… Will email you when I get back home. Those photos are so beautiful. All the statues and the architecture and the mosaic treatments. Wow. I have never been to Italy, and you make me want to go see these sights for myself. Thank you so much for sharing these!